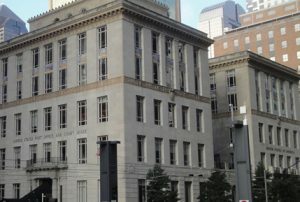 DALLAS – Experienced trial attorney Rogge Dunn of Dallas’ Clouse Dunn LLP is representing a wrongful arrest victim in a high-profile lawsuit against the City of Dallas, Dallas County, Dallas County Sheriff’s Department, Dallas Police Department and the two officers who made the arrest. The case has generated numerous media reports based on the extraordinary circumstances, including stories from The Dallas Morning News, KDFW-Fox 4, KXAS-NBC 5 and WFAA-ABC 8. Mr. Dunn represents Michael Ryan, who was arrested in 2013 following a Sunday morning auto accident near his home in Dallas’ Lakewood Heights neighborhood. Mr. Ryan was driving with his infant daughter when he crashed into a row of parked cars after suffering his first-ever epileptic seizure. Extremely disoriented and suffering from injuries caused by the wreck, Mr. Ryan exited his Lexus SUV before being arrested by two Dallas Police Department officers. The lawsuit says Mr. Ryan was slammed into a police cruiser and handcuffed so tightly that bruises remained for weeks afterward. Mr. Ryan’s wife, a physician, arrived at the scene and told the officers that she was a doctor. After hearing that her husband was being arrested for driving while intoxicated, she explained that he had not consumed any alcohol and obviously needed medical attention. Despite the fact that Mr. Ryan passed a breathalyzer test at the scene and repeatedly requested a doctor, the arresting officers waved off an ambulance that arrived shortly afterward and charged Mr. Ryan with DWI and child abandonment. He would later test negative for any drugs or alcohol based on another breathalyzer test and a blood test administered at the Dallas County jail, where he spent more than 14 hours and was again denied medical treatment despite numerous requests. The media extensively reported Mr. Ryan’s arrest and the related charges. As a result, he was unable to find work when prospective employers discovered the news stories. He later was diagnosed with a concussion and two crushed discs in his back. An examination also confirmed that he had suffered an epileptic seizure, a condition Mr. Ryan now controls with medication. His lawsuit against the government defendants and the two individual officers includes claims of false arrest, denial of his constitutional rights, and mental anguish. “The importance of this lawsuit is to get the procedures changed so that when somebody presents to the officers and says, ‘I’ve got a medical condition,’ that they take the time to listen and get that medical help,” Mr. Dunn told KXAS-NBC 5. For more information on the lawsuit filed by Mr. Dunn against the Dallas Police Department, please contact Bruce Vincent at 800-559-4534 or bruce@androvett.com.